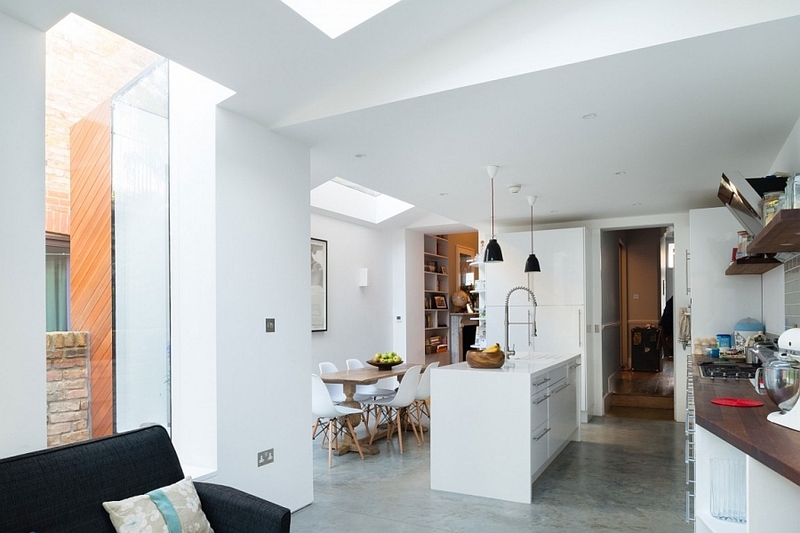 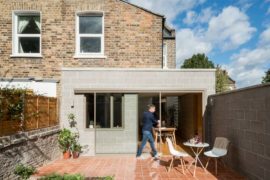 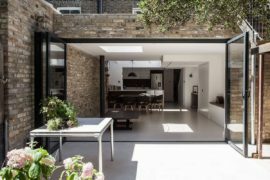 It seems to be a season of renovations and extension projects, and today we’ve stumbled upon another beauty from London that gives an old, dark and congested home a sparkling new lease on life. 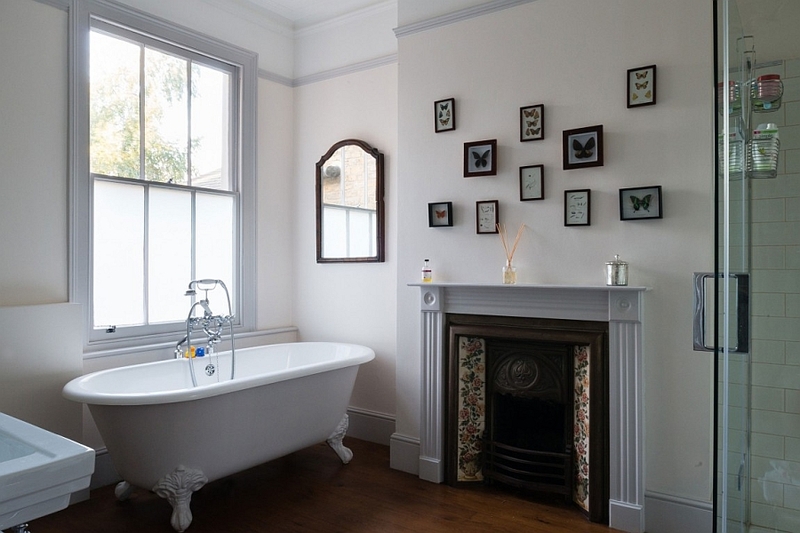 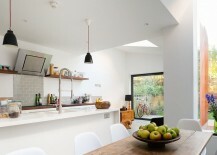 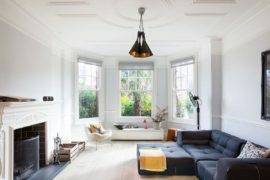 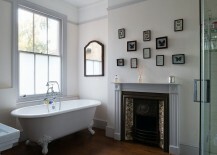 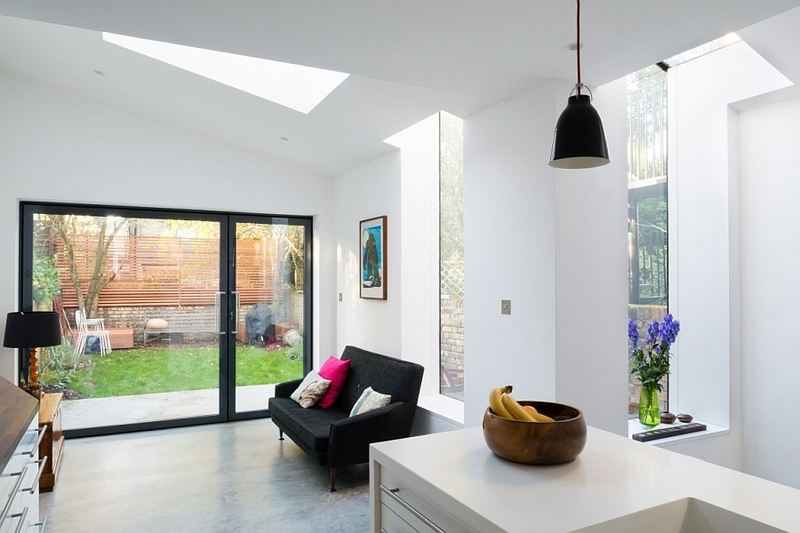 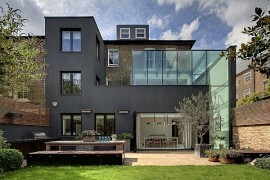 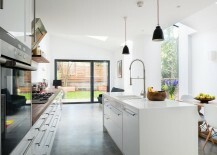 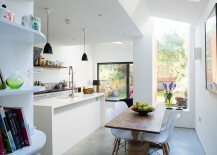 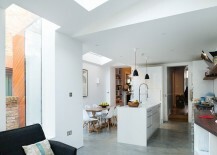 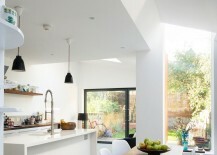 Located on Milton Road, London, Lambeth is a gorgeous Victorian house that was in urgent need of a contemporary makeover. 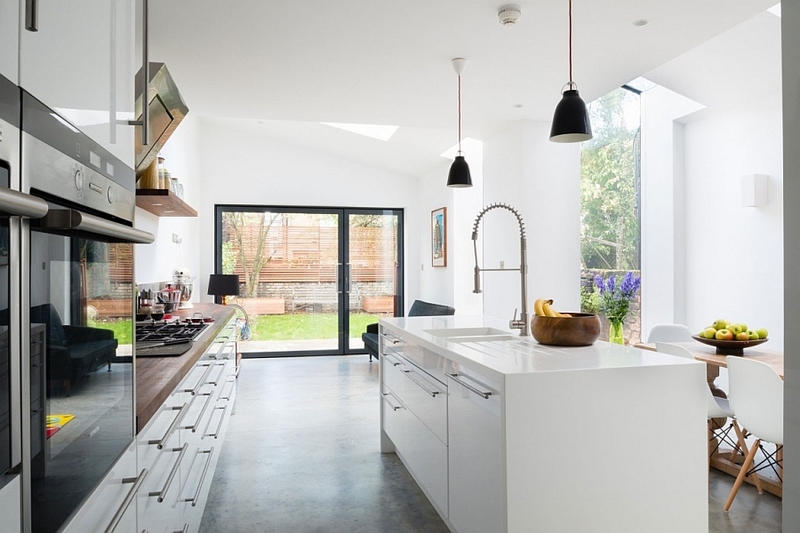 The homeowners wanted a light, breezy and modern interior where the kitchen becomes the focal point of the newly crafted social zone that promotes interaction among the family members. 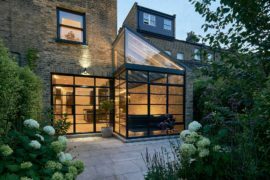 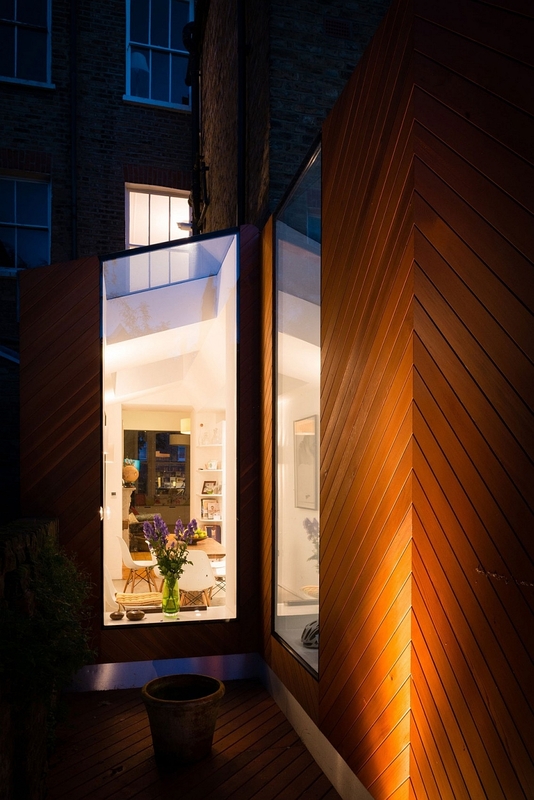 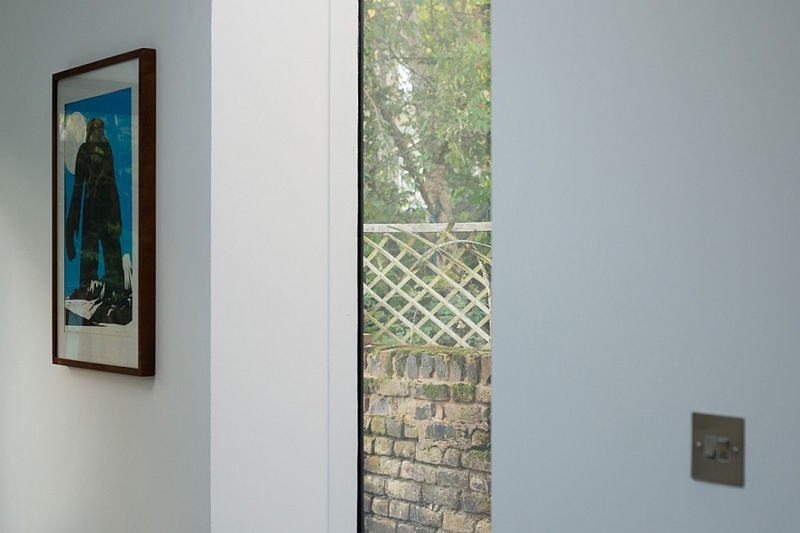 This was achieved with elegance and ease by Architecture for London, who added an ingenious extension to the rear of the house. 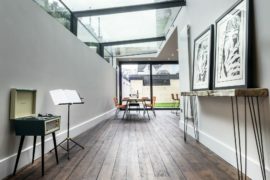 The creative addition not only increased the square footage of the home, but also connected the interior with the backyard through the wonderful use of glass doors. 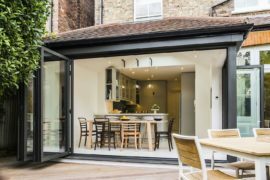 This helped create a visually larger space where the outdoors feels like a seamless extension of the kitchen and the dining area. 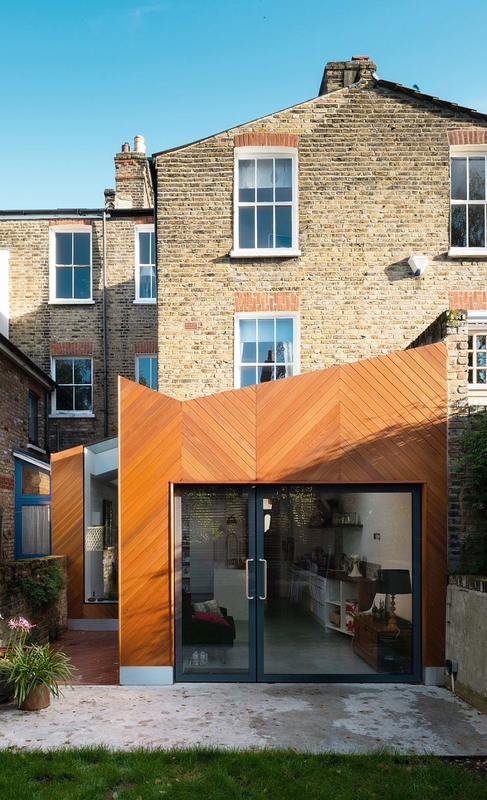 Covered in stained cedar chevron panels, the extension tries to blend in with the timeless façade of the Victorian home while standing out as a smart, trendy structure. 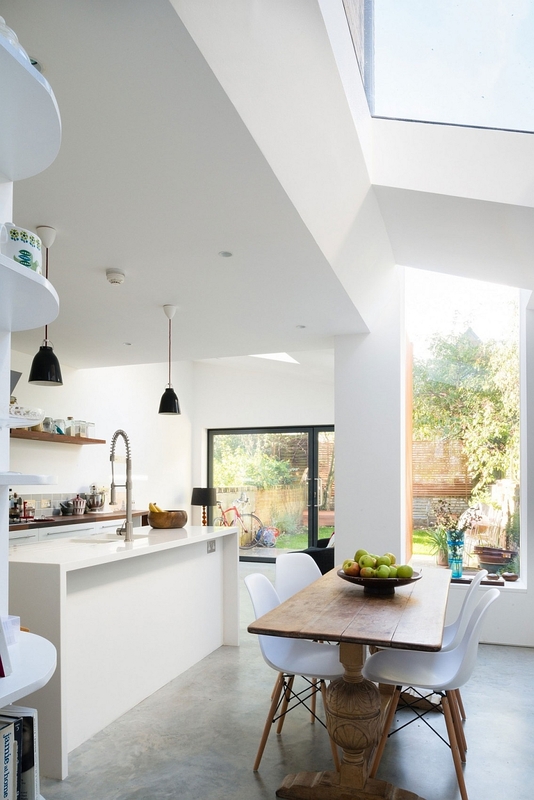 On the inside, large glass windows and skylights bring in ample ventilation, even as the extensive use of white and open shelving add to the airy ambiance. 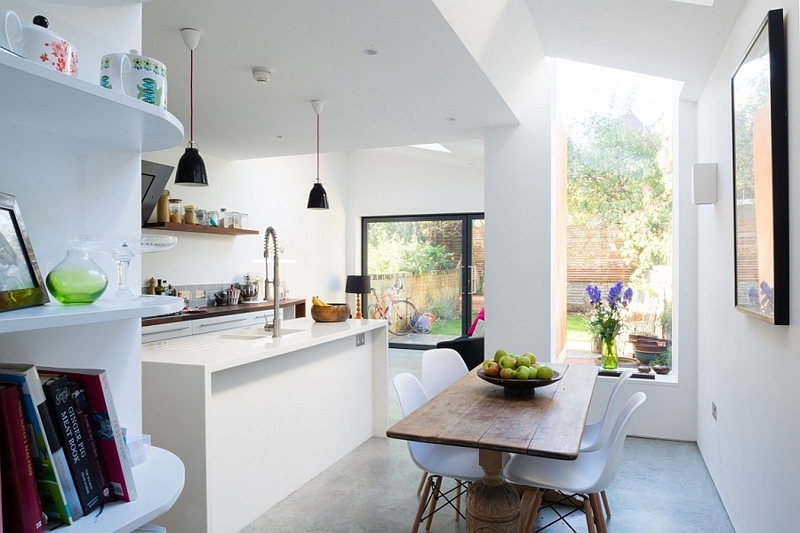 The modified kitchen comes with a smart island in white, a cool dining nook and a relaxing family area that leads the way to the backyard. 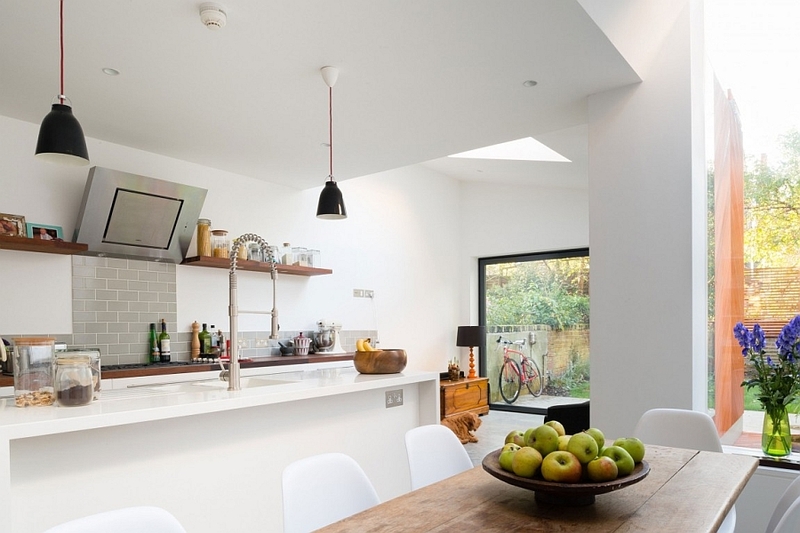 The transition between the old structure and the new is kept as organic as possible with a touch of vintage charm invading even the modern kitchen. 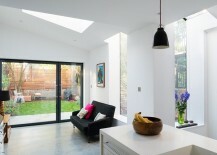 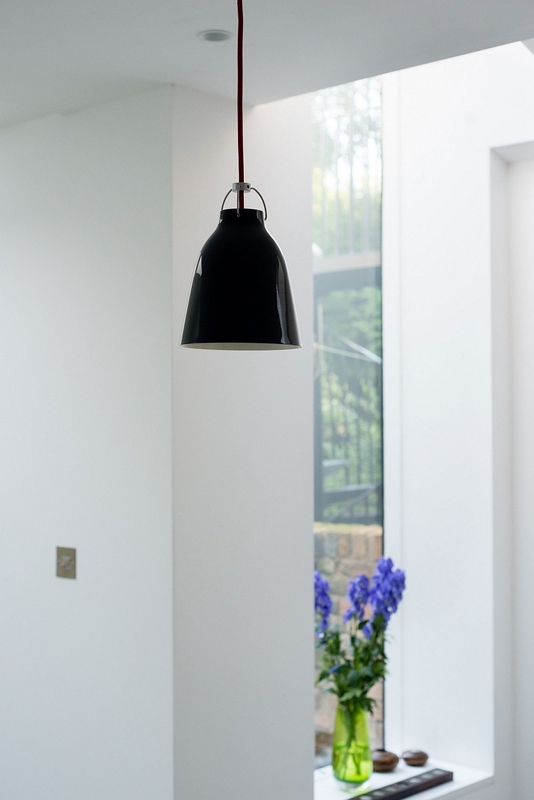 Polished concrete floors and brilliant lighting complete what is a savvy, functional and aesthetically stunning makeover! 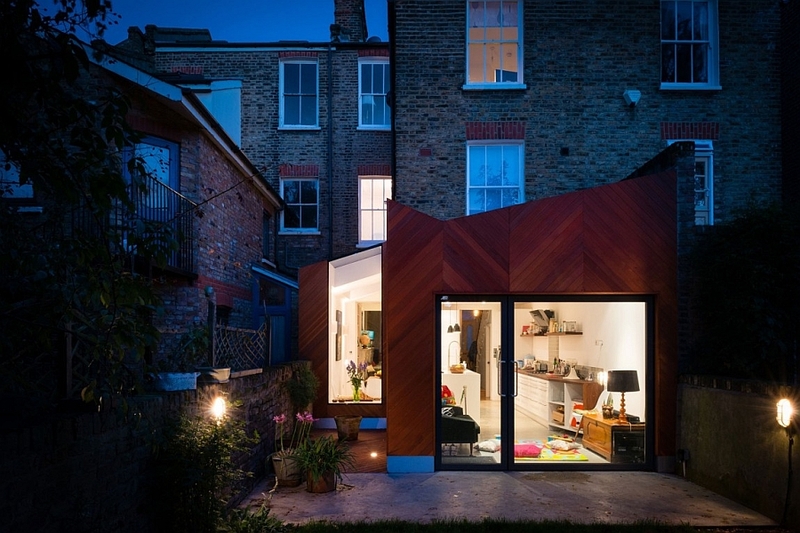 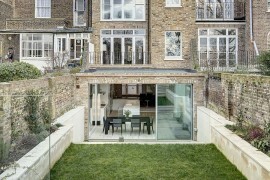 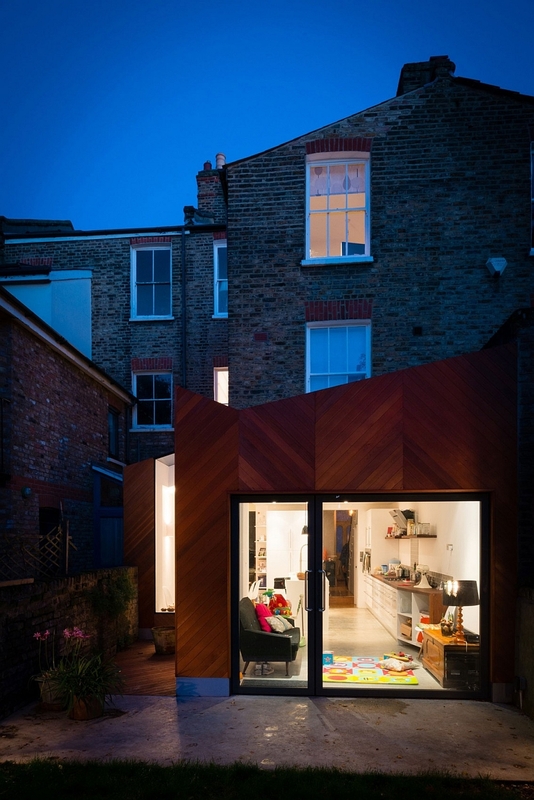 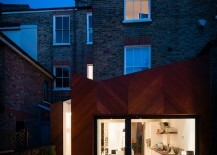 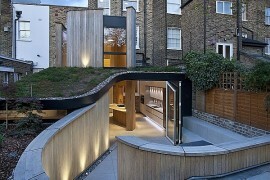 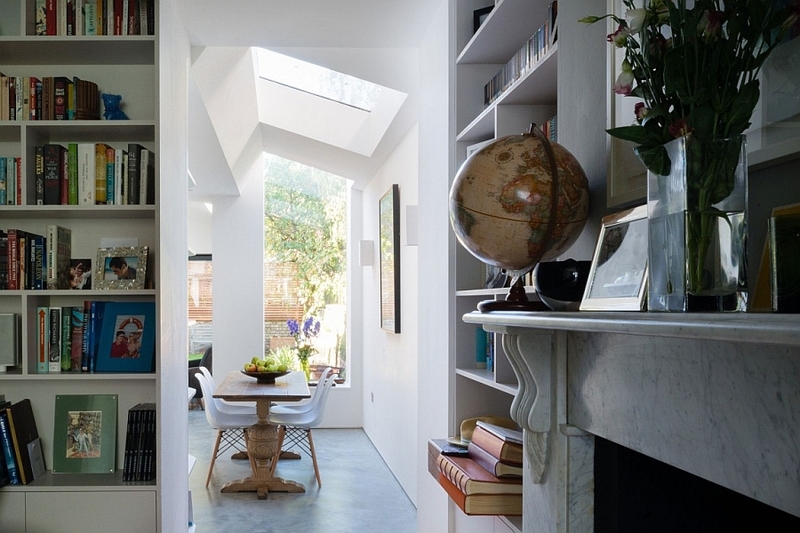 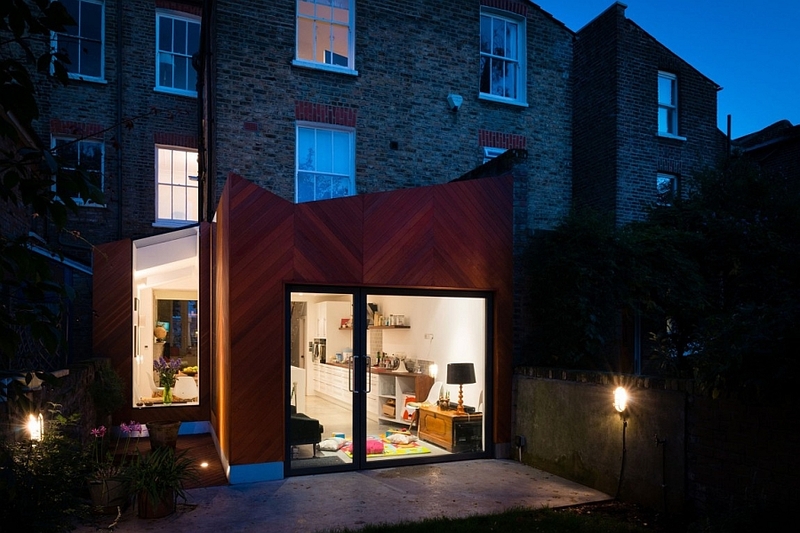 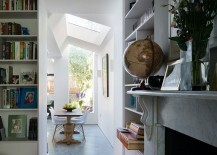 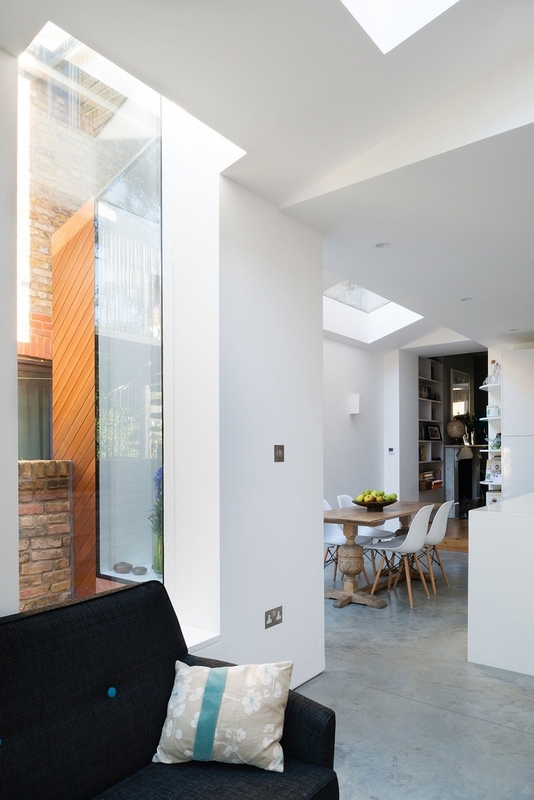 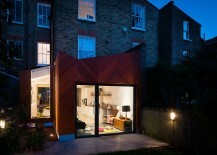 Modern Extension To A Victorian House In London Comes With A Quirky Twist!